SYW: What goal are you working on now? Your goal can be something fun or extremely serious. Have fun with this question. I’m working on writing an eBook which is taking way too long because I over-committed my time. I’m writing a series of eBooks which I intend converting to print after the current one is over. 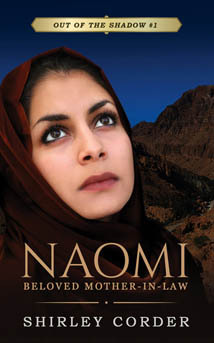 They are based on Bible women who are “hidden in the shadow” of someone or something else. Disclosure: This post may contain some affiliate links for your convenience. Click here to read my full disclosure policy. 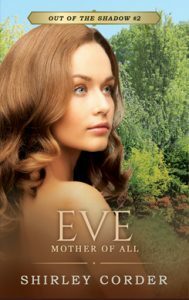 The first one is Naomi, then Eve, then Miriam which was also supposed to be one book, but I found so much to write that I ended up dividing it into two books. 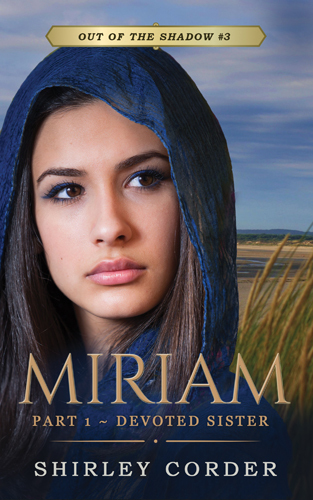 Miriam Part 1 – Devoted sister is already on Amazon and I’m working on Miriam Part 2 – Anointed Leader. It was supposed to be finished by the end of last year. Ahem . . .
SYW: What is one thing you’re glad you tried but would never do again? 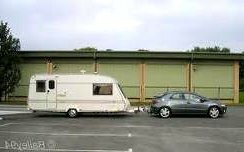 My husband and I had a caravan which we both towed when we were going on holiday (vacation). One day, we were packing the caravan up and I offered to take it and turn it while my husband settled our fees at the office. I turned into a narrow road high up an embankment in the resort, intending to drive around and out the other end. But it was a cul-de-sac, and I ended up overlooking most of the camping ground in a narrow road, unable to get out. A kind gentleman came to my rescue and guided me little by little until I did an almost impossible U-turn while an audience of intrigued campers cheered me on. Never again! SYW: Did you choose your profession or did it choose you? 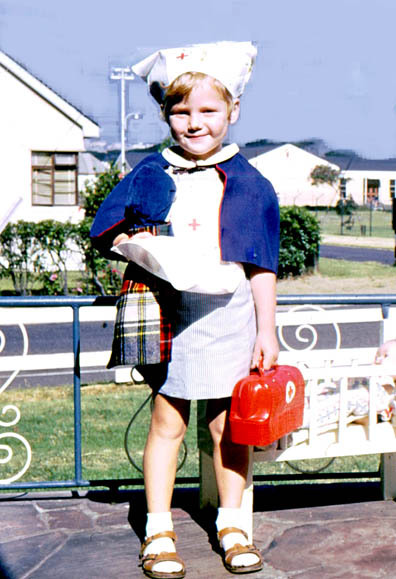 Profession 1: I chose to be a nurse before I went to school. I just knew that was what I would be when I grew up. This is my daughter Debbie who also decided to be a nurse at the same age as me. She changed her mind though, whilst I stuck to the decision. Me as a student nurse. We were not allowed to leave the hospital in our white uniforms but had to wear a “walking out” coat and cap over our uniform. Profession 2: Writing came looking for me. I had cancer and due to a compromised immune system I could no longer nurse. I had a clear call from God to “pick up your pen and write” and have been writing ever since. SYW: Have you ever gotten lost? Some years ago, my daughter, son-in-law and two little ones were involved in a shooting incident in Maseru, the capital city in the neighboring country of Lesotho. They asked me to come and help with the children. I had never driven that distance on my own but my husband was officiating at a wedding on the Saturday. So I packed the car and with a map and clear instructions ringing in my head, I set off early the next morning. The first half of the trip was simple. Get onto the N1 (the national highway) and follow the road to Kroonstad. Only after that did I need to follow instructions carefully. All went well until I came to a road block on the N1. Due to roadworks, all traffic was being directed onto a side road. I obediently followed the road signs and off I went. Some time later, I realized I was alone on the road, there were no more signs, and I was entering a seedy looking area away from civilization. I looked for a place to turn, but decided it was easier to follow another road which seemed to be running parallel to what I thought was the N1’s location. This should be easy enough. After a number of turns into other roads, I was so lost I had no idea which direction I was facing. Only then did I realize I was really in trouble. There was no point in phoning my husband, that is if I could even get a signal, as I didn’t know where I was. A considerable amount of time later, laced with many urgent prayers, I spotted a welcome road sign saying “Kroonstad” X kms. I should have got there about 3 hours earlier. Once I arrived at the service station in Kroonstad, I phoned my husband to say I was safely there. He asked, “Where on earth have you been? I thought you were phoning to say you’d arrived in Maseru!” The rest of the trip was uneventful, but I still don’t know where I lost the planned detour. 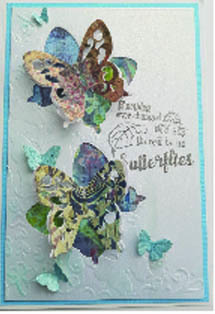 Last week is again a card-making moment. On Saturday afternoon our Cardie group met together and learned a new technique: The positive/negative method. The result was three gorgeous cards. I’m looking forward with hope to the arrival of some more unbranded cutting dies from China. They are due any day now. This post is part of the Share Your World blogging challenge, headed up by Cee Neuner. What are you looking forward to in the week that lies ahead? Yes, you’re right Natasha. I was always such an extrovert until after cancer. No one would have ever suspected I’d turn into a writer that spends her day sitting at the computer! Thanks for visiting. Oh yes, I’ve had a few moments of altercation with my GPS too. But of course at the point of the trip to Lesotho, we didn’t have a GPS. It all went down to maps – and of course, the detour wasn’t on the map! Thanks for the visit, Leanne. Loved those cards, especially the ones with the tree! It was fun reading your answers – sounds like a great little challenge! 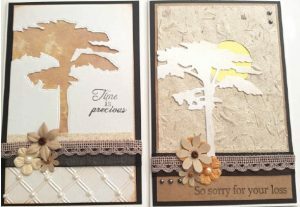 Yes, aren’t the tree cards gorgeous? They’re relatively quick and easy too, if you have a cutting die for a tree. Guess what I ordered from eBay as soon as I got home from our card-making session, where I’d used a friend’s die. Good to read your answers Shirley. It’s such a great way if getting to know more about our blogging friends around the world. I’m so glad you managed to get to where you were going in your ‘lost’ story, it sounds very scary!! Thanks for stopping by, Debbie. Yes, it’s a fun way to get to know one another. Initially in my “lost” story I was just frustrated with myself. But after a while it did get scary. It wasn’t a good area to get lost in! Enjoyed your story, even though I also realized how scary it must have been to make that trip by yourself. You introduced the links to your books so skillfully; your book cover models are well chosen. Thank you for visiting, Alana. Thank you too for your encouragement re my book covers. They’re fun to do but it’s been another huge learning curve for me. I loved reading your answers Shirley and learned even more about you. I’m hoping to start Share Your World from July. Have a great week and good luck with the e-book. Thanks Sue. It will be super following your posts as well.